In his broad account of monetary economics, Nick Rowe points out that most modern economies are closer to being pure monetary exchange economies than pure barter economies. I'll argue that we're about half way between the two poles, although it's impossible to say for sure. In a pure barter economy, where any good can be exchanged against every other good, you would have ticks everywhere. With n different goods, there are n(n-1)/2 functioning markets. In a pure monetary exchange economy, where apples (say) were the medium of exchange, there would be ticks everywhere in the A column or row, and no ticks anywhere else. With n different goods, there are n-1 markets, where in each market apples are exchanged for one of the other goods. A monetary exchange economy has a lot fewer markets operating than a pure barter economy, for n > 2. Most economies are a lot closer to the pure monetary exchange economy than they are to the pure barter economy. If there was such a thing as a universal dollar and all trade in an economy contained this item, then we'd certainly be living in a pure monetary economy. But in the real world, there is no such hypothetical item as "the" dollar. Dollars are heterogeneous. There are multiple types, brands, issuers, and denominations. To get to where we want, we often have to engage in a long chain of dollar-for-dollar barter transactions. Only when we've managed to acquire the right form of dollar can we buy the things we want. This means that no single type of dollar appears in 100% of an economy's trades. Using Nick's wording, we have ticks everywhere, not just in the A column/row. In Canada we have the $1 dollar coin, or the loony, which is issued by the Royal Canadian Mint. If you try using loonies to pay for something worth over $100, say a washing machine, there's a good chance that you'll be turned away by the shopkeeper. To buy the washing machine, you'll first have to barter your loonies for larger-denomination paper dollars. Banks typically engage in this sort of barter. They'll either sell you paper dollars for your coins, or they'll sell you an electronic bank deposit. If you buy the paper dollars you can head back to the store and get the washing machine. Canadian paper banknotes, created by the Bank of Canada (BoC), are accepted in a wider range of trade than loonies. But like the Mint's coins, BoC notes are not generally accepted. Say you need to get your clothes washed at the local laundromat. Since the washing machines are coin-operated, you'll have to sell notes and buy loonies in order to get them to work. Alternatively, say you want to buy the local laundromat, which the owner is selling for $2 million. The laundromat owner won't accept your offer of notes since having a few suitcases full of paper is awkward. Rather, you'll first have to barter away your notes for some medium more appropriate to the context. If you take your notes to a bank and purchase deposits, then you can transfer your deposits to the owner in return for the car wash. The owner will likely accept deposits, since holding $2 million at the bank will be safer for him than $2 million under his bed. You could also offer to pay the owner with a personal IOU. If the laundromat owner accepts your IOU, he'll want to barter it away at some point. In the old days, he might have sold it on to another merchant in return for, say, a convenience store (see bills of exchange). Nowadays, the most popular form of IOU is probably the cheque. If the laundromat owner accepts your offer, he'll take your cheque to his bank and sell it for $2 million in deposits. His bank will in turn sell your $2 million IOU back to your bank in return for a $2 million deposit. Your bank will in turn sell your IOU back to you in return for a deposit. You're in trouble if you don't have a sufficient deposit balance to buy back your IOU. It's for this reason that cheques are not generally accepted. If the writer of the cheque fails to settle their end of the bargain, the entire chain of dollar-for-dollar trades risks being unwound. Nor are direct transfers of bank deposits generally accepted in trade. In order to purchase an exchange-traded stock or bond, for instance, you'll have to first sell your bank deposit for a deposit at a brokerage house. Now you can buy the stock. You're in trouble if you change your mind and decide that you want to buy a couch instead of a stock. Dollars in your brokerage account are useful only in financial market transactions, not retail transactions. You'll have to sell your brokerage deposit for a bank deposit, and only then will you be able to buy your couch. I've left out another major type of dollar—deposits held at the Bank of Canada. A commercial bank that owns a deposit at another bank will often sell this deposit back to the issuer in return for a deposit held at the Bank of Canada. Deposits at the Bank of Canada can be used by banks to engage in all sorts of transactions with other banks. But Bank of Canada deposits are not generally accepted. A bank, for instance, can't purchase a box of donuts from Tim Hortons with a central bank deposit—corporation or individuals aren't permitted to have accounts at the BoC and therefore can't accept BoC deposits as payment. To buy the box of donuts, the bank will have to sell some Bank of Canada deposits to Tim Hortons's bank, say the Royal Bank of Canada, in return for RBC deposits. It can then sell these deposits to Tim Horton's and get donuts. In sum, the dollar is not some homogeneous entity. There are hundreds of thousands of implementations of the dollar. A list of all trades done in Canada over a period of time will show various types of dollars being exchanged for various goods & services and also being exchanged for each other. The distribution of appearance of each type of dollar in total trade is probably flattish, much as in theoretical barter. Liquid stocks and bonds and popular goods like coffee could very well appear in more trades than various types of dollars. The occurrence of cell phone minutes in trade, for instance, probably exceeds that of travelers' checks. The market value of transactions in which coins participate is probably exceeded by the market value of transactions in which S&P/TSX60 stocks participate. Our economy is less monetary and more barter-like than we commonly suppose. Much of the conversation about bitcoin adoption focuses on its use in goods and services transactions. Breaking bitcoin news, for instance, draws attention to the fact that the Internet Archive will be giving employees the option to be paid in bitcoin. This focus on brick & mortar transactions means that the role that bitcoin financial instruments—stocks, bonds, and derivatives—have to play in promoting bitcoin adoption often gets overshadowed. I'm currently reading Barry Eichengreen's Exorbitant Privilege which goes into the mechanics of what it takes to create a truly international currency. Eichengreen points out that prior to World War I the dollar played a negligible role relative to the pound sterling in world markets, but by the mid 1920s it was the dominant unit for invoicing payments and denominating bonds. Eichengreen's theory is that the US dollar became the world's go-to currency because of the emergence of a very specific financial instrument—the banker's acceptance. An acceptance is much like a bill of exchange, a financial instrument I explained in my last post. Say a merchant decides to pay for a shipment of goods with a personal IOU, or bill. If a bank first "accepts" the bill i.e. if it agrees to vouch for the IOU, then this gives the bill more credibility. It is now a banker's acceptance. According to Eichengreen, around 1908 or 1909, a concerted effort to foster the growth of the US acceptance market began. Up till then, US banks had been prohibited from dealing in acceptances and branching abroad—both these limitations would be removed by new legislation. To promote liquidity and backstop the acceptance market, the Federal Reserve, established in 1914, was given authority to buy and sell acceptances via open market operations. Furthermore, these acceptances could legally "back", or collateralize, the Fed's note issue. This feature was particularly helpful. Although the Fed was also legally permitted to purchase government securities, government securities could not "back" the note issue. Acceptances, therefore, became the more flexible and preferred asset for Fed open market operations, at least until 1932 when the limitations on government collateral were removed. According to Eichengreen, the Fed was the largest investor in the acceptance market and sometimes held the majority of outstanding issues on its balance sheet. By the mid-1920s foreign acceptances denominated in dollars exceeded those denominated in sterling by a factor of 2:1 and more central banks held US forex reserves than sterling. London was on the way out, and New York on the way in. By 1929, the amount of outstanding foreign public bonds denominated in dollars (excluding the Commonwealth) exceeded sterling bonds. The lesson here is that a key step in the sequence of internationalizing a currency is getting it to be used in financial markets. This involves the development of deep, liquid, and accessible markets in securities denominated in that currency. What sort of financial deepening do we see in the bitcoin universe, and how might we compare it to the dollar's emergence in the 1910s and 20s? There are a number of healthy signs of financial deepening. I count five competing bitcoin securities exchanges that provide a forum for trading bitcoin-denominated stocks and bonds. These include Cryptostocks, BTCT, MPEx, Havelock, and Picostocks. A sixth, LTC-Global, provides a market in litecoin securities, a competing altchain. Holders of bitcoin needn't cash out of the bitcoin universe in order to get a better return. Instead, they can buy a bond or a stock listed on any of these exchanges. The largest publicly-traded company in the bitcoin universe is SatoshiDice, a bitcoin gambling website listed on MPEx. With 100 million shares outstanding and a price of 0.006 BTC, SatoshiDice's market cap is ~600,000 BTC which comes out to around $17 million. SatoshiDice IPOed last year at 0.0032 BTC. With bitcoin only trading at $12 back then (it is now worth $29), the entire company would have been worth $4 million. Given today's $17 million valuation, SatoshiDice shareholders have seen a nice return over a short amount of time—much of it provided by bitcoin appreciation. While SatoshiDice certainly provides some depth to bitcoin financial markets it has the potential to shallow them out too. Because MPEx charges large fees to trade on its exchange, a few of the competing exchanges have created what are called SatoshiDice "passthroughs". Much like an ETF, a passthrough holds an underlying asset—in this case SatoshiDice shares on MPEx—and flows through all dividends earned to passthrough owners. As a result, investors can get exposure to SatoshiDice without having to pay MPEx's expensive fees. BTCT, for instance, lists two different SatoshiDice passthroughs (GSDPT and S.DICE-PT) which together account for more trading volume than all other stocks and bonds listed on BTCT. SatoshiDice's sheer size is to some extent problematic since Bitcoin financial markets are not as deep as they might appear. Should something ever happen to SatoshiDice, a big part of the bitcoin financial universe's liquidity will be wiped out, and this would ripple out across the entire field of bitcoin securities. The same might have happened to banker's acceptances in their day, except for one difference—the Fed was willing to back the acceptance market up. In the bitcoin universe, there's no buyer of of last resort to provide liquidity support to SatoshiDice shareholders. Another impediment to deeper bitcoin markets is the hazy legality of the bitcoin securities exchanges. The first major bitcoin securities exchange, GLBSE, was closed in October 2012 with no prior warning. According to this article, potential regulatory and tax liabilities convinced GLBSE's founder to shut it down on his own behest. If any of the existing bitcoin exchanges were to grow too noticeable, one could imagine the SEC (or its equivalent) knocking on their door and forcing the exchange-owner to pull the plug. This sort of regulatory uncertainty can only dampen the liquidity and depth of bitcoin financial markets. US authorities, on the other hand, didn't need to heed the rules when they built the banker's acceptance market. They created the rules. If financial deepening in the Bitcoin universe is to proceed it will happen despite regulations and not because of them. The last headwind to bitcoin financial deepening is bitcoin's volatility. Eichengreen writes that the seesawing of the pound sterling during the war period encouraged financial markets to search for a more stable unit in which to express debts. The pound had always been anchored to gold (or silver), but it was unpegged from its century's long gold tether when the war broke out. Although it was repegged in January 1916, this time to the dollar, this did not secure confidence in the sterling's value since the peg was dependent on American support. When this support was withdrawn at war's end, sterling fell by a third within a year. Through all of this, the dollar continued to be defined in terms of gold, a feature which no doubt attracted issuers. Bitcoin, on the other hand, has more than doubled in just two months. Back in June 2011, it fell by 50% in just two days. Like pound sterling during the war, bitcoin's lack of stability will do little to promote deeper financial markets. Although I've stressed the difficulties that bitcoin markets face in developing more depth, the sheer amount of financial innovation I'm seeing from those involved in the various bitcoin securities exchanges is impressive. I wish them the best. The more they build up bitcoin securities markets, the better an alternative bitcoin presents to competing currency units. Disclaimer: I am long SatoshiDice and several bitcoin mining stocks. Here's some interesting news. Ripple is finally being implemented. What is Ripple? Ripple is an open source P2P credit system dreamt up by Ryan Fugger in 2004. Its mission is to provide a non-banking payments alternative by decentralizing the process of creating and circulating highly liquid IOUs. Put differently, Ripple offers an environment in which individuals can be their own credit-issuing and credit-accepting banks. Ripple has always remained conceptual. But now a team of developers lead by Jed McCaleb, founder of MtGox, the world's largest bitcoin exchange, are implementing a living breathing Ripple network. Ripple might seem to be unprecedented, but the decentralized credit system it envisions existed centuries ago in the form of the historical bills of exchange system. We tend to assume that all transactions conducted by people living in the 16th, 17th and 18th centuries were naive barter or coin-based transactions. But Adam Smith, Henry Thornton, and Sir James Steuart all provide lucid accounts of what was actually a very complex credit-based economy. Just like modern bankers have been busy dreaming up MBS, CDOs, and CLOs, medieval innovators in their own time spawned a broad variety of credit instruments including bills of exchange, promissory notes, cash credits, deposit accounts, accommodation bills, bank notes, shares, exchequer bills, and more. Bills of exchange are particularly interesting. I'll bring this all back to Ripple in a bit, but in order to do so I need to explain how a bill of exchange worked. Let's start with a horse-drawn buggy merchant who, having received a shipment of buggies from a buggy distributor, must pay the distributor. The merchant writes an IOU, or bill, indicating that he promises to pay the distributor x pounds of gold three months hence. In the early days of the bill of exchange, the distributor would hold this bill for three months and take delivery of the gold upon maturity. Later on a new use for the bill of exchange emerged. The distributor, unwilling to hold the bill for so long, might decide to "endorse" it onwards before maturity. Endorsement meant that the distributor would write his name on the back of the original bill, thereby promising to stand as a cosignatory to the carpet merchant's debt. The distributor could then spend the original bill by, say, purchasing more buggies from a buggy manufacturer. The buggy manufacturer might in turn use the very same bill to purchase lumber from a lumber merchant, and the lumber merchant might endorse that bill onward to purchase wood from a forest owner. By the end of the bill of exchange's three month life, it would be returned to the buggy merchant for payment in gold. On the back of the bill would be a long list of cosignatories who, in the interim, had endorsed the merchant's IOU on as "money". The very fact that this chain of merchants knew each other and were willing to vouch for each other's credit gave these instruments their marketability. Henry Thornton, Henry Dunning Macleod, and Thomas Tooke all described how in the county of Lancashire in northern England (which then included Liverpool and Manchester) almost all transactions were carried out in bills of exchange. Macleod describes bills "which had sometimes 150 indorsements on them before they became due." Even when the original debtor's bill of exchange came due, it would often be settled with a new bill. Either that, or the debtor might have in his cash box someone else's bill that he might endorse to his creditor to settle the original. Thus, though bills were payable in gold, very few bills were actually settled with the metal. IOUs circulated perpetually. The bills system functioned as one of the earliest decentralized P2P networks. Merchants, acting simultaneously as bankers, both created new credit and verified existing credit by endorsing it onwards. Ripple is (perhaps unintentionally) replicating the bills of exchange system by allowing individuals to emit their own highly liquid IOUs. Ripple users build a list of contacts whose credit they trust and indicate their degree of trust by stipulating how much of an issuer's IOUs they are willing to accept and in what denominations. Once they receive those IOUs in payment, the IOU might be settled in underlying settlement media (say bitcoin or dollars) and canceled. Alternatively, Ripple users are free to exchange these IOUs on to anyone else who accepts the issuer's credit. Finally, when two people owe each other an equivalent IOU, they can simply net out the transaction and cancel both promises. Webs of trust allow Ripple transactors with no direct personal contact to transact with each other via the chain of trusted credit-granting intermediaries that stand in between them. Joel knows Sarah who knows Bill, and even though Joel and Bill don't know each other, they both trust and are trusted by Sarah who can serve as a go-between. Rather than using a bank, the transaction can be consummated through a distributed network of friends and acquaintances. Ripple itself takes on no credit risk. Ripple is simply a process, or a utility. Much like merchants trading in bills of exchange, Ripple users are responsible for choosing who they vouch for and in what amounts. If the Ripple system proves to be as successful as bills of exchange system once were, IOUs may never actually be settled in underlying units like bitcoin or dollars. They'll circulate in perpetuity. Eventually the distributed bills of exchange system was competed away by specialized bankers. 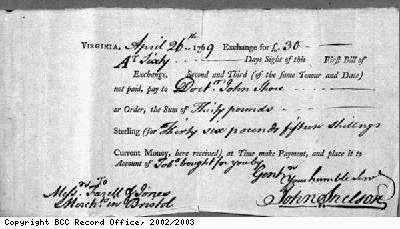 Bills were not always convenient to accept since they were typically issued in non-standard amounts. The buggy merchant might issue a bill to his distributor with an ungainly face value of £1557, for instance, which could not be broken down into smaller amounts, nor could it be easily combined into a round larger amount. Bankers solved this problem by offering to buy, or discount, bills of exchange in return for notes and deposits. Deposits are divisible into tiny amounts and notes printed in convenient denominations, all of which would have encouraged their circulation at the expense of bills of exchange. Bankers also took over the job of monitoring credit quality. Unlike bills, bank notes and deposits were homogeneous in terms of credit quality. This would have freed merchants from having to spend scarce time verifying the quality of bills of exchange and tracking down the issuers of mature bills. Banks are expensive to run. Whereas merchants circulated bills of exchange by hand, banks must maintain their own complex payments infrastructure. Evaluating credit quality requires hiring credit evaluators. These costs must be recouped through transaction fees. Presumably the first bankers offered enough conveniences relative to trade in bills of exchange to compensate merchants for these fees. What is interesting about Ripple is that in the age of the Internet, management of the payments infrastructure can be cheaply outsourced to cooperating nodes, much like how BitTorrent parcels out tasks to peers. Social networking tools provide individuals with tools for DIY credit analysts. While Ripple IOUs are not homogeneous in terms of credit quality, people may be willing to overlook this inconvenience if these other costs are significantly reduced. It may be that the advantages once favoring centralized banking over distributed banking have been so eroded by the Internet that distributed systems like Ripple will once again be chosen by transactors. PSS. If we're lucky, perhaps Joel Katz will pop up in the comments. He's working on the project and might be able to answer questions. Frozen deposits as a Federal Reserve policy tool? I've written before about Iranian monetary sanctions. We can disagree on motives and targets, but monetary sanctions are undeniably a very powerful instrument. They work because in severing Iran from the global payments network, the sanctions degrade the liquidity of Iranian wealth. I'm going to borrow this idea and see if I can apply it to central bank monetary policy. Can a central bank like the Federal Reserve conduct monetary policy by manipulating the *expected liquidity* of the liabilities it issues? Can the Fed hit its inflation targets by sanctioning its own deposits or, put differently, by freezing and/or unfreezing them? Let's say that the expected return from holding a Federal Reserve liability can be decomposed into 1. capital appreciation/depreciation (ie. inflation); 2. interest (either interest on reserves ["IOR"] or the federal funds rate), and 3. "liquidity services". Traditionally, an inflation-targeting central bank manipulates the interest rate portion of a dollar's return up or down in order to make inflation, the dollar's expected capital appreciation, rise or fall to its target. Here's what I'm curious about. What happens if the Federal Reserve holds the interest rate fixed but manipulates the "liquidity services" of Fed liabilities? Will this be sufficient to make inflation rise or fall to target? All assets provide varying degrees of liquidity services, but the liquidity (or "moneyness") of central bank liabilities are supreme. In the US, deposits held at at the Fed can be used to make Fedwire payments. Fedwire is an interbank clearing and payment system hosted on the books of the Federal Reserve. Banks make payments in order to settle cheques, buy and sell securities, and make other large time-sensitive payments on behalf of clients. The average value per transfer over Fedwire is about $5 million. In 2011, $663 trillion in transactions were conducted via Fedwire. That's a lot of liquidity. Let's say the Fed announces that going forward some not insignificant percentage of all deposits held at the Fed will be frozen for a period of time, say a month. While frozen, deposits will still earn IOR, but banks won't be able to sell them on Fedwire. The distribution of frozen deposits will be random. No bank knows if they will be afflicted or not. When, after a month, a deposit is unfrozen, some other random deposit in the system is frozen. Just like monetary sanctions, the freezing of Fed deposits will have the effect of degrading their anticipated liquidity services. Banks who had previously been sure of the superior saleability of Fed deposits now face the possibility that they won't be able to utilize them should some unanticipated need arise. In response, banks will simultaneously try to rebalance their portfolio towards other liquid assets by selling some of the Fed deposits they hold. But the stock of outstanding Fed deposits is fixed. The only way for the system to equilibrate is for the price of all other assets to rise, or, put differently, for inflation to increase. In this scenario, the Fed loosens policy (creates inflation) by either increasing the margin of deposits that are frozen or by lengthening the period for which they will be frozen. It tightens by unfreezing and shortening. Playing around with its liquidity-services tools allows the Fed to hit its inflation target. Conversely, the Treasury tightens Iranian monetary policy by freezing Iranian deposits in the international payments system and loosens by increasing the ability of Iranian's to participate in the system. The Treasury's target is unrealistic—Iran must stop developing the bomb. A more realistic target would be Iranian NGDP. Apart from serving as a mental exercise, using liquidity tools in monetary policy might be useful at the zero-lower bound. We know that the Fed can't set a negative interest rate at the ZLB because everyone will quickly convert Fed deposits into Fed cash in order to escape the penalty. The Fed therefore loses its ability to drive up inflation. * Miles Kimball's vision of a conversion penalty on cash withdrawals is one way to limit the dash for cash, thereby allowing central banks to set negative rates. A more extreme fix is to simply ban cash. Because cash is a day-to-day feature of regular people's lives (well, criminals too), implementing cash penalties or bans might be a bit awkward. If instead we try to escape the ZLB by reducing the liquidity of Fed deposits and creating a bit of inflation, this shifts the burden of coping from the public to banks. Won't banks simply evade the sanctions by converting deposits into Federal Reserve cash? Unlikely, since they'd be forfeiting IOR and have to pay storage and transportation costs on cash. *Market monetarists don't believe this and think large scale purchases can do the trick. I don't disagree. Other central bank balance sheets I've illustrated include that of the Bank of Canada, Federal Reserve, and People's Bank of China. Making these charts reminds me of a great xkcd cartoon. I've been playing the game of Settlers of Catan for ages. Over time I've gotten less cutthroat and more philosophical about the game. What I've come to realize is that Settlers is a great tool for both thinking about monetary phenomena and building different sorts of monetary economies. In this post I'll assume a basic knowledge of Settlers—if you haven't played the game by now, you're living on the moon. The first thing worth noting is that Catan is not a barter economy—it's a monetary economy. This might seem like an odd thing to say. After all, the trades that we see in a typical Settlers game are all commodity-for-commodity trades. To see why it's a monetary economy, imagine the case of autarky, or a Catan in which trade is prohibited. Here, players can only build structures using cards earned from tiles on which they have a settlement. The value of a lumber card in an autarkical economy is derived solely from its use-value, or its ability to help build settlements and roads. The moment autarky is lifted and players are allowed to trade resources amongst each other, resource cards provide their owners with a whole new range of services. Not only is a lumber card valuable for the settlements and roads it yields, but also for its ability to purchase things from others. It has become a medium-of-exchange. Given the unpredictability of dice rolls, owning a stock of readily-tradeable exchange media provides players with wiggle room, or monetary optionality. Because an option is valuable, resources that provide optionality earn liquidity premia. The more liquid the resource card, the broader the option it provides and the larger its premium. Monetary phenomena like monetary optionality begin to emerge the moment we exit from autarky—we don't have to wait till some hypothetical item called "money" appears on the scene in Catan, nor for so-called barter to disappear. All media-of-exchange, whether they exist in our simple Catan economy or the real economy, have money-like properties. In fact, I'll show later that there is no such thing as "money" in our modern economy, only a universe of media-of-exchange that differ along a spectrum of liquidity. The Catan universe is a well-balanced monetary economy. By well-balanced, I mean that we tend to observe an even distribution of trade. Put differently, since Catan's five resources are all equally marketable, none of them earns a superior liquidity premia. There are ways to tilt the rules of Settlers so that trade patterns get more skewed. One way to do this is to penalize trade in certain goods. For instance, say we institute a rule that continues to allow for full trade in sheep, brick, ore, and wheat but only permits lumber to be traded when a six has been rolled (limited autarky in lumber markets). This inhibits lumber cards from serving as full media of exchange. As a result, lumber loses some of its optionality and will trade at a discount to its prior price. The distribution of trade will now be skewed away from lumber towards the other four resources. 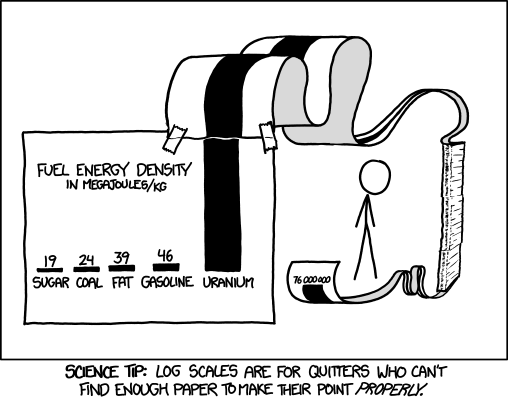 If we penalize all resources but one, we would skew the pattern of trade dramatically in this resource's favor. Another way to affect the distribution of trade is to endow certain resources with unique properties. Let's say that ore is more storeable than the other commodities. The rule in Settlers is that when a 7 is rolled, any player with eight or more cards must lose half their hand. If ore cards don't count to the total when a 7 is rolled (they are storable, after all) then players will be able to hold larger hands as long as they cushion their hand with ore. Players will begin to trade for ore not because they wish to build a city with it, but to protect their hands from 7s. This could increase the incidence of ore cards in trade relative to other cards. The more liquid ore cards become, the more will their monetary optionality increase, as will their liquidity premium. There are all sorts of ways to tilt the distribution of monetary trade. Be creative. The idea behind chartalism is that some external monopolizer, say a gang or a king, sets an obligation upon citizens that can only be discharged with a certain type of settlement media. This media doesn't have to be a commodity. It might be an intrinsically useless token. Let's imagine that the robber in Settlers requires a bribe from all players whenever a 7 is rolled. If a player doesn't pay the bribe, then they must sacrifice two cards. Say that the bribe must be paid in the form of an intrinsically useless $100 Monopoly bill. Players can only purchase the Monopoly bills from the robber on their turn for one resource card. Presumably players will purchase $100 bills since the 1 card cost exceeds the potential loss of 2 cards. A player who has already bought enough Monopoly money to satisfy the robber should a 7 come up may wish to sell excess bills to players desperate for protection. Monopoly paper bills thereby join the five existing resources as a media of exchange in Catan. We might be able to tilt the distribution of trade in favour of the chartal medium if we encourage its marketability through rule changes discussed in section two. The existing rules of Settlers prohibit credit transactions. Relaxing these rules allows us to introduce a whole new range of resources that can be used in trade—each player's future earnings power. There are infinite ways to structure credit transactions in Catan. Informal verbal promises are one way. I tell my trading partner that I'll buy a lumber from them now for an IOU of two sheep in the future. Due to their informality, these promises are unlikely to become liquid. To really tilt the distribution of trade towards credit, we probably want to create standardized paper credit contracts. Standardization allows for quick appraisal, and this lowers transaction costs. Transcribing the promise onto paper will encourage its negotiability, or exchangeability from player to player. The more we streamline the process, the more likely that credit will become Catan's most liquid traded resource. The simplest IOU I can think of is a one-time paper promise to pay out all production from a 6 or 8 tile. The issuer can easily satisfy this obligation since they don't have to trade away for the media to settle it—they produce the media themselves. When we allow for credit, players are acting simultaneously as bankers. The player that succeeds in getting his or her credit to circulate from player to player has effectively increased their purchasing power relative to everyone else and will be able to advance through the game much quicker. Players that push too close to the sun will find themselves unable to meet their outstanding promises and will default. They'll lose the trust of fellow players and will find it difficult to issue credit again, their advancement in the game slowing. Paul Samuelson famously described how the contrivance of fiat money would allow members of an economy to efficiently solve the problem of passing on savings over time. Through a "grand consensus," worthless "oblongs of paper" would be accepted into circulation. This sort of paper is different from chartal Monopoly paper since the latter discharges a particular obligation. Samuelson's oblongs are merely bits of paper. They have no non-monetary use whatsoever. Could we get players to accept mere paper? Our first guinea pig will only do so if they know for sure that the next player will accept it. Absent a significant amount of negotiation and coordination ahead of time, its difficult to imagine why the first player will ever trust the future negotiability of paper. Far safer for him or her to just refuse any fiat paper trades. Might players spontaneously negotiate a set of rules to encourage the circulation of Samuelsonian paper? Perhaps, but if the game already allows people several trading technologies—trade in resources, trade in chartal Monopoly money, and trade in credit—will players want to devote resources negotiating an expensive institution like fiat paper? I doubt it. Can the rules of Settlers be manipulated so that Catan approximates our modern world in which there seems to be one universal medium-of-exchange called money? Could we get ore to appear in all of Catan's trades, or Monopoly money, or the circulating credit of one trustworthy player? As I pointed out earlier, we don't have to. In the real world, there's no such thing as a universal medium of exchange. Rather, we have an almost an infinite range of media that vary in terms of liquidity. The "dollar", for instance, refers to a number of different exchange media: paper dollars printed by the Fed, electronic dollars created by the Fed, private savings account dollars, chequing account dollars, eurodollars, traveller's cheques, credit card dollars, and more. Private chequing account dollars can be broken down into Bank of America dollars, Wells Fargo dollars, Citi dollars etc. The fact that these various media are denominated in the same unit should not confuse us into consolidating them into one universal medium-of-exchange. A US paper dollar, for instance, is a far more liquid instrument than a hamburger patty, but it still only appears in a small percentage of total US trades. As long as we can manipulate a game of Settlers to show a skewed distribution of trades, then we've sufficiently approximated the real world. Setting up a stylized Catan environment in order to explore monetary phenomena is akin to the approach taken by modern monetary economists. Economists realized long ago that exchange media simply had no role to play in a stylized Walrasian environment. In a world with an omniscient auctioneer who calculates the prices and quantities of all trades, and in which all trades are cleared at a central clearing house, there's no room for monetary phenomena like media of exchange or liquidity premia to arise. To get "money" into an economy, modern economists start by introducing various refinements into a Walrasian environment. Rather than have individuals meet at a centralized market, Kiyotaki and Wright (1993) have traders meeting randomly and pairwise. Wright, Trejos, and Shi (1995) replace the auctioneer with traders who are capable of negotiating prices bilaterally. Our simple Settlers environment easily captures decentralized search and bargaining. Some environments created by modern monetary economists are downright odd. The modern work-horse Lagos/Wright model sets up an environment with day and night markets. Day markets are bilateral and anonymous while night markets are centralized. Dror Goldberg imagines different cities which specialize in a certain good. Traders must trek between cities to secure a consumption good. Settlers, of course, will appear odd to anyone seeing it for the first time. Manipulating the rules of Settlers to see how we can generate monetary patterns is very much like letting rational agents loose in an Lagos/Wright sci-fi environment. The advantage of the former is that it's fun and real people are testing out the model, not imaginary agents. Try experimenting with some of these rule changes the next time you play Settlers and tell me what happens. Even if you don't get around to it, hopefully I've convinced you that Settlers provides a great model for thinking about monetary economic phenomena. ...the bulk of the statistics which the fundamentalists study are past history, already out of date and sterile, because the market is not interested in the past or even in the present! 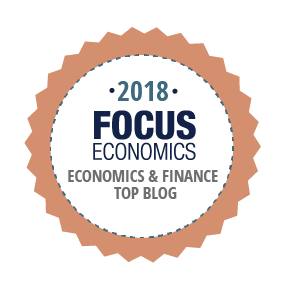 It is constantly looking ahead, attempting to discount future developments, weighing and balancing all the estimates and guesses of hundreds of investors who look into the future from different points of view and through glasses of many different hues. In brief, the going price, as established by the market itself, comprehends all the fundamental information which the statistical analyst can hope to learn (plus some that is perhaps secret from him, known only to a few insiders) and much else besides of equal or even greater importance. So who wrote these words? Fama, Malkiel, or Samuelson? Funny enough, I've pulled this quote from The Technical Analysis of Stock Trends by Robert Edwards and John Magee, the so-called bible of technical analysis. Published in 1948, it predates Fama by at least fifteen years. In case you need reminding, technical analysts are interested in the historical record of asset prices. The traditional stereotype is that they work in musty offices filled with stock charts, the windows nailed shut so that no data from the outside world can pollute their analysis of odd-sounding chart formations. Now this view is a bit narrow. Cullen Roche points out that technical analysis comprises far more than just charting-gazing. It involves using past market data—volume, price, sentiment, etc—to divine the market's future direction. Old school chartists still exist, but so do algorithms that analyze reams of stale data in order to spit out the next period's price. Before I explore the seeming paradox of Edwards and Magee subscribing to the EMH, here's a refresher on the various "forms," or levels, that efficient markets take. Each level refers to the type of data that is baked into efficient prices. 1. Weak form efficiency: All information contained in the record of past prices is already reflected in a stock's price. The implication is that technical analysis is worthless. 2. Semi-strong form efficiency: All information contained in past prices and all published information about a company are already reflected in the stock price. The implication is that both technical and fundamental analysis are worthless. 3. Strong form efficiency: Prices reflect all information contained in past prices, all publicly available information, and all insider information. No one can make a profit. 4. Semi-weak form efficiency: Prices reflect all published fundamental and insider information, but not information from past prices. The implication is that no one can make earn profits from using fundamental data and only technical analysis is worthwhile. Why do academic finance books list semi-strong efficiency but not semi-weak efficiency? Why open the "efficiency door" to fundamental analysts but not technical analysts? In general, I find that academics tend to display a strong aversion to technical analysts, compounding an already-existing sense of persecution felt by technical analysts when it comes to the rest of the investment community. Most discourse in the investment community is of a fundamental nature, and technical analysts are viewed as a bit weird. I remember observing this sense of frustration at a society of technical analysts meeting a decade ago. The running gag that day among the angst-filled technical analysts was to refer to fundamental analysts as fundamental ANALysts. So what explains the bone that academics have to pick with technical analysis and semi-weak efficiency? My guess is that it starts with the random walk theory. The random-walk theory is important to academic finance because it implies the existence of a normally-distributed data set. It's relatively easy to run statistics with this kind of data. But if markets are semi-weak this implies that successive price changes are not independent of each other, or, in technical analysis lingo, that trends are meaningful. If changes are dependent on prior changes, the normal distribution can't be used. This means that finance theory is a lot more difficult than before. On the other hand, if markets are semi-strong weak form efficient, prices still follow a random walk. Weak form efficiency was a way for financial academics to offer the investment community a bone, namely fundamental analysis, without throwing out the random walk baby. Technical analysis, on the other hand, needs to be thrown under the bus. But I'd be curious what others have to say. Some interesting things have happened on the Iran monetary sanctions front since I last wrote on the topic. In my first post I explained how the sanctions work. In my second post, I speculated about the so-called gold-for-gas trade, one of the routes Iran had been using to get around the sanctions. To recap, here's how the trade works. Turkish companies buy Iranian natural gas with Turkish lira deposits at Halk Bank, a large government-owned bank based in Ankara. Iran then converts these deposits into gold and re-imports the metal back into Iran (primarily via Dubai) in order to use it to purchase goods elsewhere or to fortify its FX reserves. There was nothing about the gold-for-gas route that contravened the letter of US sanctions. Now there is a new rule that will plug the gold-for-gas trade. Measures included in the 2013 National Defense Authorization Act signed by President Obama on January 3, namely Title XII, Subtitle D, known as The Iran Freedom and Counter-Proliferation Act of 2012 (IFCPA), require the President to impose sanctions against any financial institution that enables Iranian entities to purchase precious metals. These rules will come into effect on July 1, 2013. This means that the so-called gold-for-gas trade has only a few months left to run. As of July 1, if Iran wishes to make purchases through its account, Halk Bank will have to ensure that whatever it buys does not include gold, silver, or platinum (no, there is no platinum coin loop-hole). But there are even bigger changes afoot. As of February 6, 2013, measures enacted in last August's Iran Threat Reduction and Syria Human Rights Act of 2012 (TRA) restrict all buyers of Iranian crude to a purely bilateral trade relationship. In essence, buyers can only transact with Iran using financial institutions located in the buying country. Furthermore, TRA requires that any revenues that Iran earns from oil sales remain "locked" in accounts within the buying country. If these requirements are ignored, President Obama is required to impose sanctions on transgressing banks. Since these sanctions involve cutting off said bank's access to the US payments system, few banks are likely to risk ignoring them. TRA will have major repercussions for the way Iran does business with its clients, in particular India. For the last two years, Iran and India have been transacting this way: 45% of Iran-India oil trading has been conducted in rupees using the Calcutta-based UCO Bank. Iran's national oil company exports oil to India, earns Indian rupee in its UCO account, then uses these rupees to purchase Indian grain and other goods. What it doesn't spend simply accumulates at UCO. Billions of dollars have accumulated at UCO because India simply doesn't produce enough goods and services that Iranians want. The other 55% of the India-Iran oil trade has been conducted via the same Halk Bank that facilitates Turkey's gold-for-gas trade. India kept a euro account at Halk Bank which it used to pay Iran for oil. Given the wide liquidity of euros, Iran could easily spend these balances on. The TRA requirement that all transactions be bilateral forces India to cease Halk Bank payments and reroute everything to UCO. Huge rupee balances were already accumulating at UCO when 55% of crude oil trade was settled at Halk Bank. With 100% now being settled at UCO, Iran's rupee hoard will become even more massive. Nor is this solely an Indian phenomenon. Iran will be prevented from repatriating profits earned in trade with all of its major oil customers. Going forward, large Iranian yen balances will steadily build up in Japanese banks, won in Korean banks, rand in South African banks, etc. These balances could be drawn down by Iranian purchases of permitted (ie. non-sanctioned) goods and services in the host country. But Iran tends to run current account surpluses with these partners – it exports more than it imports. The balances, therefore, are likely to continue accumulating in the host nation. On an abstract level, the sanctions are dramatically reducing the liquidity of Iranian wealth. By impairing the ease of transacting in Iranian goods and Iranian-held foreign bank deposits, the US has reduced the extra bit of option-value that liquidity adds to wealth. In India, for instance, a rupee is worth a rupee, except if you're Iran. The range of options available to an Iranian-held rupee is far less than a regular rupee – as such they are worth less. This demonstrates the raw monetary power that the US is able to exercise on the world by levering its central position in the international banking web. Americans may not feel the external effects of US monetary policy. But as we can see, this policy is creating large changes in the patterns of trade throughout the entire Middle East and Asia. Most people don't realize that the central banks of Belgium, Japan, Greece, Switzerland, and South Africa are all publicly-traded. In times past, central clearinghouses were typically privately-owned while the issuance of bank-notes was the domain of competing banks. The fact that a few central banks still retain traces of their former private nature is a good reminder that centralized banking isn't necessarily the domain of the public sector. The Swiss National Bank, for instance, was founded in 1907 to take upon itself the issuance of national bank notes, hitherto provided by private banks. According to Hübscher and Kuhn (pdf), efforts to establish a wholly government-owned central bank were defeated in an 1897 national referendum. Opponents of the plan drew up an alternative proposal for a privately owned bank the structure of which would, according to Bordo, "not allow for state socialism or the public control of credit policy." One fifth of the new bank's capital would be given to the private banks to compensate them for the loss of their power to issue notes. Nowadays, SNB shares trade on the SIX Swiss Exchange. The original 100,000 shares are still outstanding, with 2,185 private shareholders owning about 37% of the float. Another 53% is owned by the cantonal governments and cantonal banks and the last 10% by other public institutions. The Swiss Federal council (Switzerland's federal government) doesn't own a single share, a contrast to most central banks which are 100% owned by their federal government. The largest private investor is Theo Siegert, who owns 5.95% of the float. The SNB provides all breakdowns here. 1. Capped dividends: The SNB's dividend is capped at 6% of the company's paid-up share capital. Because the SNB was originally capitalized with CHF 25 million, a large amount a hundred years ago but today a minuscule slice, aggregate dividend payments to all shareholders are limited to a mere CHF 1.5 million a year (around US$1.6 million), or CHF 10.50 per share. At today's stock price of CHF 1115, the shares yield just 1% or so. This is a stable dividend. The SNB has paid it going back to at least 1996 (the last annual report I could get my hands on). But unlike the typical common share, there is no chance of this dividend growing. 2. Profits siphoned away: Nor will the profits that are not distributed to shareholders stay with the Bank. The lion's share of the SNB's remaining profits go to the state. Specifically, two-thirds of earnings are paid to the cantonal governments, and another third to the Federal council. In 2011, for instance, the SNB earned CHF 4.9 billion. A tiny CHF 1.5 million sliver was paid to shareholders while the various governments received CHF 1 billion (the balance was held over as reserve for the next year). Much like the SNB, the Bank of Japan (BOJ) pays a fixed dividend. The BOJ, established in 1882, trades on the JASDAQ for around ¥46,500 a share. The Bank is not permitted to pay more than 5% of its ¥100 million in paid-up capital to shareholders. As is the case with the SNB, this was a large amount back in 1942, the last time the BoJ was capitalized, but today its amounts to just ~$10 million. The upshot is that the BOJ can only provide shareholders a piddling ¥5 million in aggregate dividends a year, or ¥5 a share. This equates to just US$50,000 in aggregate dividend payments, or around 5 cents a share. Considering that total profits earned by the BOJ in 2011 amounted to ¥503 billion (around $5 billion), the shareholders are getting peanuts. 3. Minority position: Unlike the SNB, the Japanese federal government owns 55% of the Bank's shares. This puts private shareholders at an even larger disadvantage since they must play second fiddle to a dominant shareholder at all shareholder meetings. 4. No residual claim: The Bank of Japan Act stipulates that should the Bank be dissolved, shareholders only get a return of initial paid-up capital. All residual assets belong to the national treasury. Thus shareholders get a mere ¥100 million (around $1 million) back in case of dissolution, or around ¥100 per share -- far less than the current ¥46,500 a share. Genuine common shares would allow shareholders to get all residual assets. In case of a liquidation of the National Bank, the shareholders shall receive in cash the nominal value of their shares as well as reasonable interest for the period of time since the decision to liquidate the National Bank became effective. The shareholders shall not have any additional rights to the assets of the National Bank. Any remaining assets shall become the property of the new central bank. This means that each SNB shareholder is entitled to CHF 250 a share upon dissolution, far less than the current CHF 1150 per share price. 4. Inability to select management. Even with their voting power, SNB shareholders have little influence over the composition of bank management. The supreme managing and executive body of the Bank is the three-member Governing Board. All three members are appointed by the Federal Council upon recommendation of the SNB's Bank Council. Here shareholders do exercise some power. They have the ability to vote 5 members of the Bank Council. But the remaining 6 are appointed by the Federal Council, which means that the Federal Council can always stack the deck to ensure that its people get appointed to the Governing Board. In the BOJ's case, it appears that shareholders have no ability whatsoever to select BOJ officials. 5. Voting limitations: The SNB limits non-public shareholders to a maximum of 100 votes. Even though Theo Siegert owns 5,950 shares, he only gets 100 votes. Most common shares carry the privilege of one share, one vote. The South African Reserve Bank (SARB) also imposes artificial limitations on shareholders. No single shareholder is allowed to hold more than 10,000 of the 2 million shares outstanding. This limits the ability of individuals shareholders or blocks of shareholders to exercise voting control, a key element of modern shareholder activism. The SARB was established in 1921 and, much like the SNB, replaced the existing network of private bank-note issuers then operating in South Africa. Its shares currently trade for about R7.00 on a SARB-hosted OTC market rather than the local Johannesburg Stock Exchange from which the shares were delisted a few years ago. The market is thin, although according to the bank's records there are over 600 shareholders. Like the SNB, the federal government does not own a single share of the Bank. Similar to the SNB and BOJ, the SARB can only pay a fixed dividend of 10% on paid-up capital. With just R2 million in paid-up capital outstanding (about $225,000), the Bank only distributes R200,000 a year, or R0.10 a share. Compared to the R53 million in central bank profits paid to the government in 2011, shareholders get next to nothing. Because the return on all three central bank shares so far discussed is calculated on a nominally fixed amount of paid-up capital from a bygone era when a few million dollars was still a large amount of money, they trade more like perpetual bonds than stocks. But this isn't the case for our fourth publicly-traded central bank -- the Bank of Greece (BoG). In 1927, the private National Bank of Greece waived its right to issue bank-notes in return for handling the IPO of the new Greek central bank. The BoG currently has some 19,000 shareholders and trades on the Athens Exchange for around €16. 4. the balance shall be allocated to the State; it shall be exempt from company tax. The rise was apparently due to recommendations made in various broker reports, which were based on hopes that the planned revaluation of the gold reserves would generate additional earnings for the National Bank’s shareholders. However, the authors of these recommendations failed to note that the law earmarks for public use any profits in excess of the maximum dividend of 6%. A sure example of the EMH not working. The NBB has the largest market cap, and justifiably so since it pays an attractive floating second dividend and, unlike the BoG, is a relatively stable institution. I find it amusing that the entire SARB can be bought for a mere $1.5 million. You can own a nation's central bank for the price of a large house! What is even more odd is the terrific valuation being put on BOJ shares. In aggregate, BOJ shareholders earn a miserable $53,763 a year in dividends, only twice what SARB shareholders earn in aggregate. Yet the Japanese market is putting a value of $500 million on that cash flow, or 500x more than the value that shareholders put on SARB cash flows. BOJ shareholders have absolutely no claim on residual assets. What are they thinking? Which one would I buy? Gun to my head, I'll take BoG shares. When things get back to normal they'll be paying a €3 dividend which you can buy now for €16 or so. But if you're going to take any profit from this post, hopefully its because it gives you another perspective from which to view centralized banking.